Designed by Malcolm Sayer, the Jaguar XKE was designed to cheat the wind. The Jaguar XKE was a huge success. Released in 1961, it quickly rose to be one of the most iconic British cars of the decade. Want to buy a 1962 Jaguar XKE? ER Classics Holland gladly provides you with a few tips to make the process a bit easier. If you're looking to purchase a 1962 Jaguar XKE as an investment, originality is key. Many Jaguar XKE's have been converted using alternative engines and coupes were converted into roadsters. The long-term value of these classic cars will be less than that of a true original. 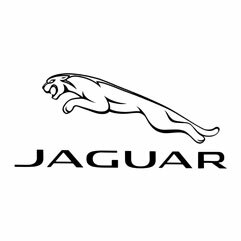 You'll want to ensure genuine Jaguar parts were used in any type of restoration. For those who are looking for a restoration project, this may not be much of a concern. Other items of consideration should be rust and mechanical or electrical problems. To learn more about the 1962 Jaguar XKE, the team at ER Classics would be happy to speak with you. They also encourage you to browse their online inventory.